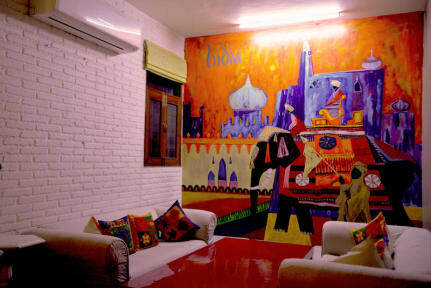 Hide-In Hostel Delhi is a social gathering place for all the travelers around the world. People from different cities and countries stay together and share their experience of traveling with other people. Well decorated common area and a very soothing terrace, where people can sit and discuss their plans. Sometimes, you can get a travel-mate for yourself too. Social events, games are also organised at our place on the weekends for our guests. We made it a place, where our guests can rest, live and enjoy.